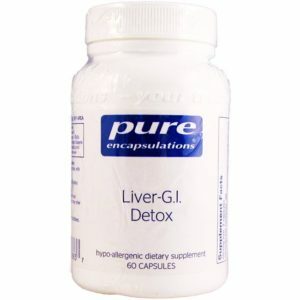 Click here to buy Liver-G.I. Detox online! Liver-G.I. Detox supports hepatic and gastrointestinal detoxification by providing nutrients and botanical extracts that enhance toxin elimination, digestion, intestinal motility, gut integrity and cell function. What are the Possible Benefits of Liver-G.I. Detox? Who Can Benefit from Liver-G.I. Detox? 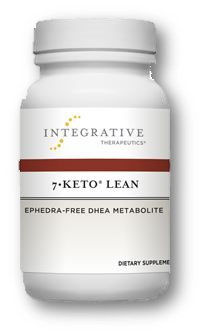 Those looking for extra gastrointestinal support and those looking to detoxify and purify their liver. How Should I Take Liver-G.I. Detox? Take exactly as recommended by your doctor. 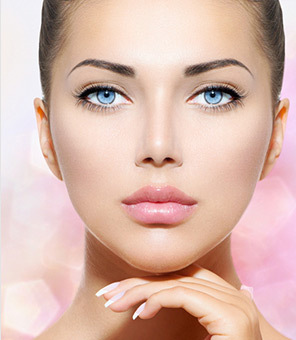 Do not take larger or smaller amounts or for longer than recommended. Pure Encapsulations recommends 2 capsules per day, with meals. What are the Possible Side Effects of Liver-G.I. Detox? What Should I Avoid When Taking Liver-G.I. Detox? Consult your physician for more information. Some studies have reported that milk thistle, curcumin, and broccoli sprout extract can affect the way that the liver breaks down medications metabolized by the cytochrome P450 system, altering the effects of these medications and possibly the dose needed for treatment. Curcumin, broccoli sprout extract, and chlorella may react with blood thinning medications.